When designing a logo (or anything, for that matter) for your company, it is important to take color psychology into account. Different colors convey different emotions, and you can invoke both positive and negative emotional responses from your customers with the colors you use. 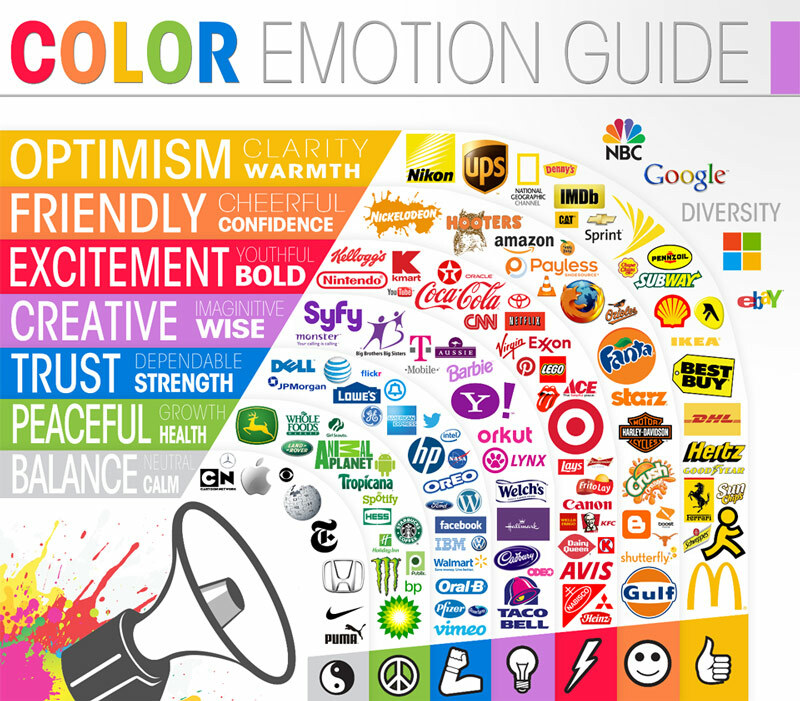 Below is a fantastic infographic from the Logo Company that illustrates which colors and emotions are connected. It is helpful to see which colors some of the most successful companies in the world are using. As a business owner, it is important that you know your industry and target audience, and choose your colors accordingly. Many sophisticated brands choose combinations of black (bold and strong), white (minimal and clean), grey (intellectual), gold (luxury), and purple (royalty) to appeal to their target audiences. Most fast food companies choose combinations of red, yellow, and orange to stimulate hunger and welcome customers. Businesses in the security or alarm industry often use red and black color schemes to give customers a sense of strength and protection. So, if you’re considering having a logo or website designed (or redesigned), or simply creating marketing materials for an advertising campaign, make sure you take into account which colors you use! They can be just as important as the words you use.